The European Commission has sent comments to the second draft negotiating position for chapter 27 (the environment and climate change), and the authorities now expect the negotiating position to be finalized during the year and submitted to the Serbian government for adoption in October 2019. If the negotiating position is officially submitted to the European Commission (EC) in December 2019 – which is the plan – the first possible time to open chapter 27 will be June 2020, according to participants in the latest meeting of the Negotiating Group 27. 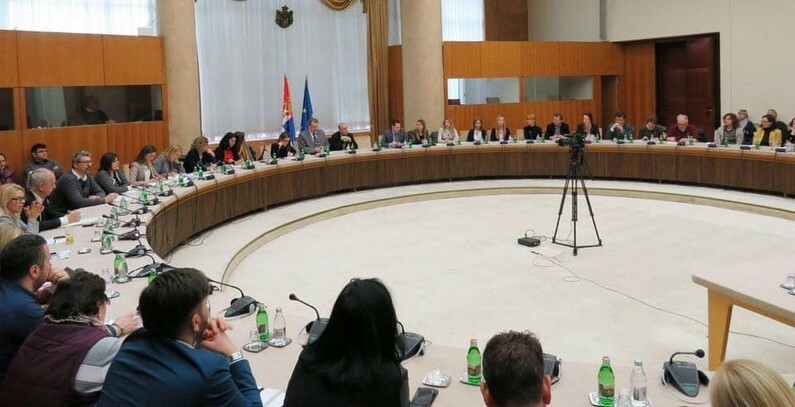 “This meeting of the Negotiating Group 27 is a watershed moment, as the negotiating position for chapter 27 must now be finalized relatively quickly,” said Ivan Karić, State Secretary at the Ministry of Environmental Protection and Chairman of the Negotiating Group 27. Karić called on other state bodies, including the Finance Ministry, to also help prepare the negotiating position. According to the current estimates, over EUR 8 billion in investments will be needed for the waste and water sectors, of which somewhat less than a half is the estimated investment need for the waste sector, Karić said recently in an interview with Balkan Green Energy News. “For now, we are using the EU’s pre-accession funds, and once Serbia is an EU member state, it will gain access to the EU’s cohesion and structural funds. At the moment, we expect around 50% of investment needs to be covered by the EU funds, both in the pre-accession period and following accession, and to secure about 30% from the national budget (the Green Fund, the Water Fund…) and some 20% through loans, public-private partnerships (PPP), and private and other investments,” he said. The Ministry of Environmental Protection has in the meantime said that it has earmarked some RSD 500 million (around EUR 4.2 million) from budget funds at its disposal to assist local governments in tackling unsanitary landfills and wastewater treatment. The funds will go toward producing project documentation for the construction of wastewater treatment facilities and landfill remediation. The ministry has published the preliminary lists of local government units meeting conditions for producing project documentation for landfill remediation and wastewater treatment plants. The list for landfill remediation projects includes Trgovište, Blace, Koceljeva, Plandište, Osečina, Ljig, Pančevo, Vršacc, Vrbas, Užice, Vladičin Han, Vrnjačka Banja, Vranje, Kučevo, Vladimirci, Veliko Gradište, Bor, Irig, Merošina, Ćuprija, Ražanj, Paraćin, Zrenjanin, Bački Petrovac, Gadžin Han, Žabalj, Sombor, Novi Kneževac, Leskovac, Lapovo, Šid, and Subotica. The list for wastewater treatment projects includes Babušnica, Bela Palanka, Medveđa, Mionica, Nova Varoš, Ražanj, Boljevac, Priboj, Sokobanja, Ljubovija, Vrnjačka Banja, Majdanpek, Aranđelovac, Apatin, Bečej, Sremska Mitrovica, Kikinda, Sremski Karlovci, Ruma, Bačka Palanka, Pećinci, Subotica, Beočin, Irig, Svrljig, Rekovac, Lebane, Vlasotince, Veliko Gradište, Paraćin, Bački Petrovac, and Lapovo.